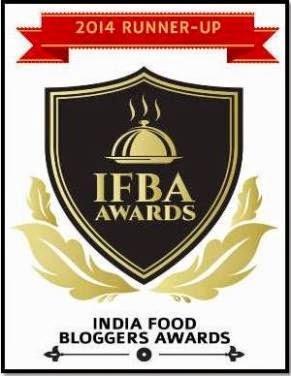 We love raw mango rice, mango pickle, mango thokku, mango...I can keep telling the list. I preserve raw mango(freeze them) when they are abundantly available during the season. The below picture is preserved mango of 2008 April season. How do you preserve them ? Wash, wipe mangoes. Peel the skin with dry hands. Grate the mangoes. In a freezer safe container. layer mangoes. Add a tbsp of salt. Layer again..the salt layer should be the last layer. Let this stand for a day outside (with the lid closed) before you put them in your freezer. You can preserve raw/unripe mangoes like this for a year or more. 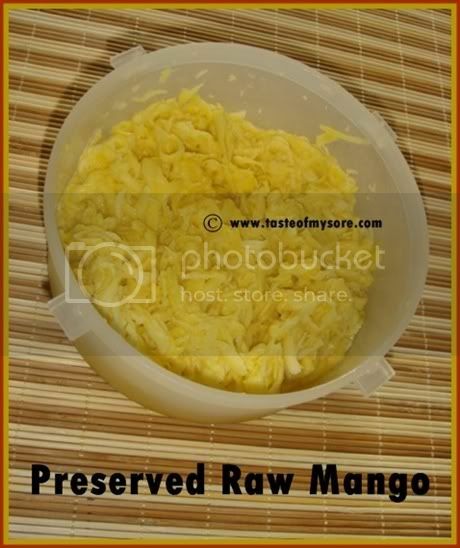 Just take care that you don't add or add less salt while cooking with this preserved raw mango. thats a lovely lovely tip for preserving mangoes.